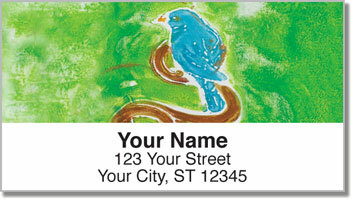 Original illustrations of birds give these return address labels a distinct artistic look and will add some originality to everything you send in the mail! 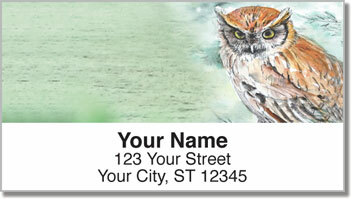 From a watercolor painting of an owl to the striking silhouette of a heron on the water, these labels will give your letters and packages a personal feel because our artists gave it a loving personal touch. 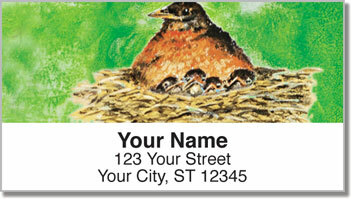 Bird Artwork Address Labels from CheckAdvantage also feature paintings of a bluebird and a robin with a nest full of babies. These convenient labels will save you a considerable amount of time because a self-adhesive backing means you simply peel and stick instead of scribbling your name and address on every envelope. 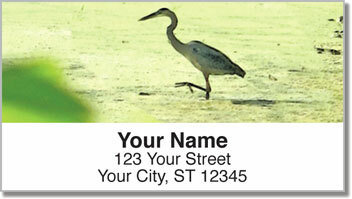 Order your very own Bird Artwork Address Labels now! This exclusive selection is also available as a set of matching personal checks.